The cover painting, by Canadian painter Alex Colville, is dated '54. Manufactured by Columbia Records of Canada Limited. Manufactured in Canada. Produced for True North Productions. Sadly, just discovering this album, and artist. Yes, it was the cover art that drew my attention, however, upon listening to the album I found myself wondering how in the world I had not discovered this incredible musician earlier. Cockburn fuses Jazz, Folk, and Blues seamlessly while weaving intricate rhythms and melodies with soulful and pondering lyrics that makes him a stand-out in any collection. Breathtakingly awesome! The cover it is so beautiful so calm, i adore it. 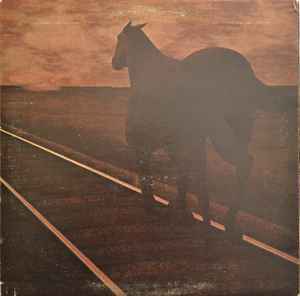 Really attractive and well put together cover using an Alex Colville painting that is wittily continued on back of sleeve. Topped off by heavy textured paper lyric insert. Definitely worthy of any 'best album cover design' lists.